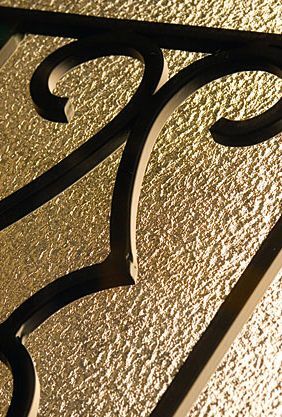 Bring Old World artistry to your home with the graceful wrought iron scrollwork of Wyngate. This Old World design adds the finishing touch to Mediterranean or Spanish architecture. A textured translucent glass surface offers a high level of privacy.